treatment, an integral tool for acute care environments. information for the accurate diagnosis of pediatric patients. 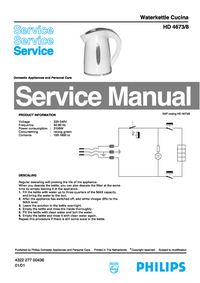 About the Instructions for Use ... .
Safety Symbols Marked on the Cardiograph Packaging  ... . Important Patient and Safety Information  ... . Accessories and Supplies  ... .
AC Power Adapter and AC Power Cord  ... .
Analog ECG Output Signal Port ... .
PageWriter TC50 Cardiograph One Battery Operation  ... .
General Cardiograph Use  ... .
Main Waveform Display Screen  ... .
Modem Card and Fax Feature  ... . Patient Data Cable  ... . Patient Interface Module (PIM)  ... . Servicing the Cardiograph  ... .
USB Memory Stick  ... . Indications for Use  ... . The Philips ECG Algorithm ... .
PageWriter TC70/TC50 Cardiograph Learning Kit ... .
About the PageWriter TC70/TC50 Cardiograph Learning Kit . .
Philips ECG XML Information  ... . Using the Philips InCenter Site  ... .
About Adobe Acrobat Versions  ... .
PageWriter TC70 Cardiograph Components  ... .
PageWriter TC50 Cardiograph Components  ... . Assembling the PageWriter TC70 Cardiograph Cart  ... . Assembling the PageWriter TC50 Cardiograph Cart  ... . Using the Cart Wheel Positioners and Brake  ... .
About Class A and Class B Patient Data Cables and PIMs . . .
Special Note about Patient Interface Module (PIM)  ... .
PIM ECG Button  ... .
Configuring the 16-Lead PIM  ... . Recommended 16-Lead Configurations  ... . Installing the Batteries  ... .
Notes about Battery Installation  ... . Charging the Batteries  ... .
Calibrating the Batteries ... . Battery Power Indicator  ... . Using the Wireless LAN Card  ... . Using the Modem Card ... . Using the USB Memory Stick  ... . Using the Barcode Reader  ... . 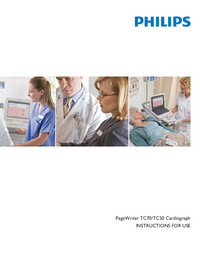 Using the Cardiograph Touch Screen  ... .
Touch Screen Overview ... . Using the Main ECG Screen  ... . The Status Bar  ... .
Supplies and Ordering Information ... .
Special Note about Welsh Bulb Electrodes ... .
PIM Patient Data Cable  ... . Complete Lead Sets  ... . Disposable and Reusable Electrodes  ... . Ordering Options and Upgrades  ... . Contacting a Philips Response Center  ... .
North America Response Centers  ... .
South America Response Centers ... .
Europe Response Centers  ... .
Asia Response Centers  ... .
Africa and Middle East  ... .
Configuring the Wireless LAN Card  ... . Tips for Creating Secure Passwords  ... .
Configuration with a Third Party ECG Management System . . . Restoring Custom Configuration Settings  ... .
Configuring Multiple Cardiographs  ... . Opening the Setup Screens ... . Using Online Help  ... .
Configuring 12-Lead and 16-Lead Exam Settings  ... . Instructing the Patient  ... . Preparing the Skin ... .
Attaching Disposable Electrodes  ... .
Attaching Welsh Bulb and Limb Clamp Electrodes  ... .
Attaching the Lead Wires ... . Using the On/Standby Button  ... . Entering Patient Information  ... . Required ID Information  ... .
Navigating on the ID Screen  ... . Entering ID Information with the Keyboard  ... . Selecting an Order from the Worklist ... .
Searching for Orders  ... . Editing ID Information  ... . Checking Signal Quality ... .
Troubleshooting Signal Quality  ... . Urgent (STAT) ECGs  ... .
Main ECG Screen  ... .
Changing the Lead Format on the Main ECG Screen  ... . Taking an Auto ECG  ... . Using the Preview Screen  ... . Using the Last ECG Feature on the Preview Screen ... . Viewing Event Markers on the Preview Screen ... .
Critical Values on Preview Screen  ... . Very High Heart Rate Critical Value  ... . Rhythm ECG Acquisition  ... .
Special Note about Artifact Filter  ... . Disclose ECG Acquisition ... . Event Marker Warning  ... .
Capturing Events from the Main or Rhythm Screens  ... . Reviewing Events on the Disclose Screen  ... . Reviewing Previous Events  ... . Using Timed ECG  ... . Transferring ECGs from the Archive  ... .
Downloading ECGs from TraceMaster  ... . Interpretive, Reason, and Severity Statements ... . Patient ID Clinical Information  ... . Patient ID Information  ... .
Configurable Clinical Information  ... .
ECG Order Information  ... .
Pacing Detection Settings  ... .
Algorithm Version Number  ... . Frequency Response Filters  ... .
Baseline Wander Filter  ... . Speed and Sensitivity Settings  ... .
Device Identification Number ... .
12-Lead ECG Report Examples  ... .
15 and 16-Lead ECG Report Examples  ... .
ST Map Reports ... .
12-Lead ST Map Reports  ... .
Extended Lead ST Map Reports ... .
1-Minute Disclose Report ... .
Extended Measurements Report  ... .
Cardiograph and PIM Cleaning  ... .
Approved Cleaning Solutions  ... . Patient Data Cable and Lead Wire Cleaning  ... .
Reusable Electrode Cleaning ... . Cleaning the Print Head  ... . 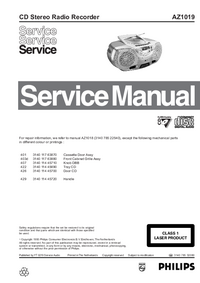 Battery Maintenance and Care  ... . Replacing the Batteries  ... . Patient Interface Module (PIM) Test ... .
Lead Wire Performance Test  ... .
Cardiograph and Accessory Disposal ... . Maintaining the Touch Screen ... .
Touch Screen Calibration ... .
Touch Screen Cleaning ... .
Changing the Date and Time  ... . Replacing the PageWriter TC50 Cardiograph Fuse ... . Exclude Low Certainty Suppressed Statements ... . Exclude All Suppressed Statements  ... . Acute Myocardial Infarction Critical Value Statements . . .
Tachycardia Critical Value Statements  ... . Complete Heart Block Critical Value Statements  ... . Acute Ischemia Critical Value Statements  ... .
PageWriter TC70 Keyboard  ... .
PageWriter TC50 Keyboard  ... .
PageWriter TC70 Touchscreen Display  ... .
PageWriter TC50 Touchscreen Display  ... . Patient Interface Module  ... . 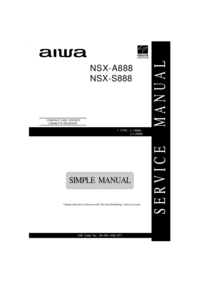 Patient Interface Module Signal Acquisition ... .
Auto Frequency Response  ... . Rhythm Frequency Response  ... . Minimum Amplitude or Value of Patient Physiological Signal . 12 Lead Report Formats  ... .
16 Lead Report Formats  ... . Rhythm Report Formats  ... .
PageWriter TC50 One Battery Operating Capacity  ... .
FAX Capability (optional) ... .
Barcode Reader (optional)  ... . Magnetic Card Reader (optional) ... .
Smart Card Reader (optional)  ... .
ECG File Formats  ... .
Power and Environment ... .
PageWriter TC70 Cardiograph AC Adapter  ... .
PageWriter TC50 Cardiograph AC Input Voltage  ... .
PageWriter TC50 Cardiograph AC Output Voltage  ... .
PageWriter TC70 Cardiograph Dimensions  ... .
PageWriter TC70 Cardiograph Weight  ... .
PageWriter TC50 Cardiograph Dimensions  ... .
PageWriter TC50 Cardiograph Weight  ... .
Safety and Performance ... . Classification (IEC 60601-1)  ... .
PageWriter TC50 Cardiograph Class I (Internally Powered). .
PageWriter TC70 Cardiograph Class II (Internally Powered) . Electromagnetic Compatibility (EMC)  ... .
Reducing Electromagnetic Interference  ... .
Wireless LAN Card Specifications  ... . Summit SDC-CF20G Wireless Adapter (Option D21) ... . Summit SDC-CF22AG Wireless Adapter (Option D22)  ... .
Attaching Electrodes and Lead Wires  ... . Using the Patient Interface Module (PIM)  ... . Checking Signal Quality  ... . Taking a STAT or Urgent ECG  ... . Taking a Routine ECG  ... . Using the Main Screen  ... . Working with Exams  ... .
Changing the Waveform Display  ... .
Split Screen View  ... . Using the Preview Screen ... . Using Event Markers and Disclose  ... . Using the Worklist  ... . Using the Cardiograph and Cart  ... . Protecting Patient Data  ... . Using the Cart Wheel Positioners  ... . Using the Cart Brake  ... .